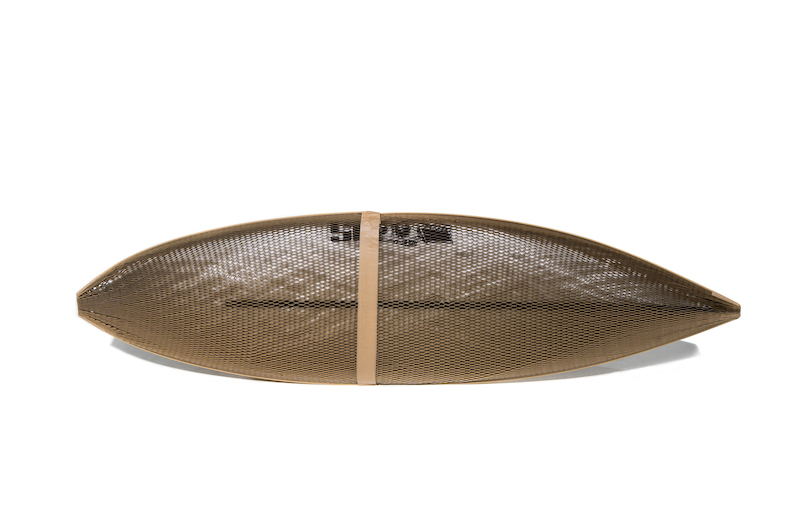 With current surfboard packaging times between 15- 20 minutes and a variety of different methods and materials used, Flexi-Hex is designed to be user friendly, save time and reduce your environmental impact. The majority of boards can be packaged in under 2 minutes. 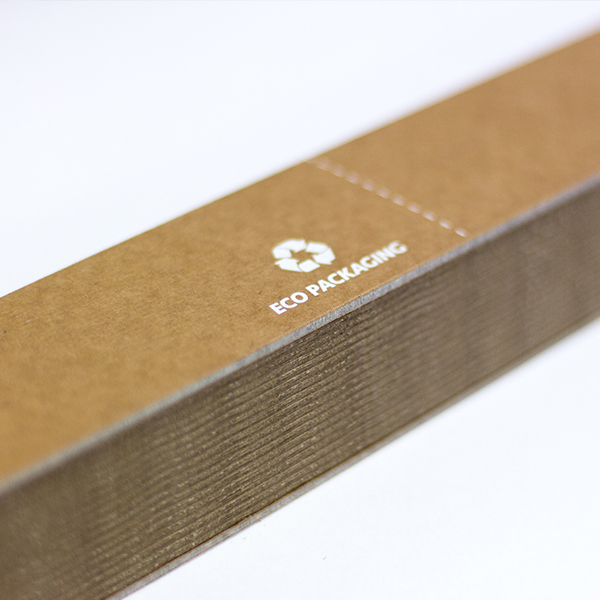 Cardboard is not only affordable, accessible, lightweight, and completely recyclable, it is also surprisingly strong and durable. The sleeves are designed to not only protect the rails but the deck, nose and tail. With public awareness around single-use plastics and the devastating effect on the marine environment at an all time high, implementing Flexi-Hex into your packaging system will displace a considerable amount of plastic waste, and show your customers you are actively reducing your environmental footprint. 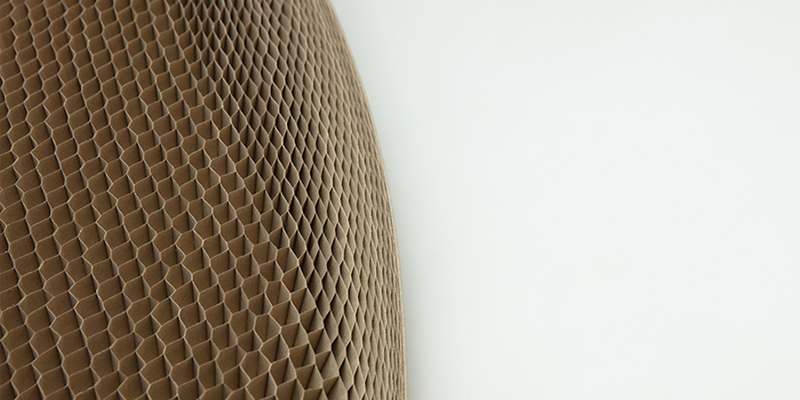 The hexagonal cellular structure allows flexibility to fit almost any shape board. To allow for varying sizes Flexi-Hex is made of open ended modular sleeves cut to size and fixed at the join point. 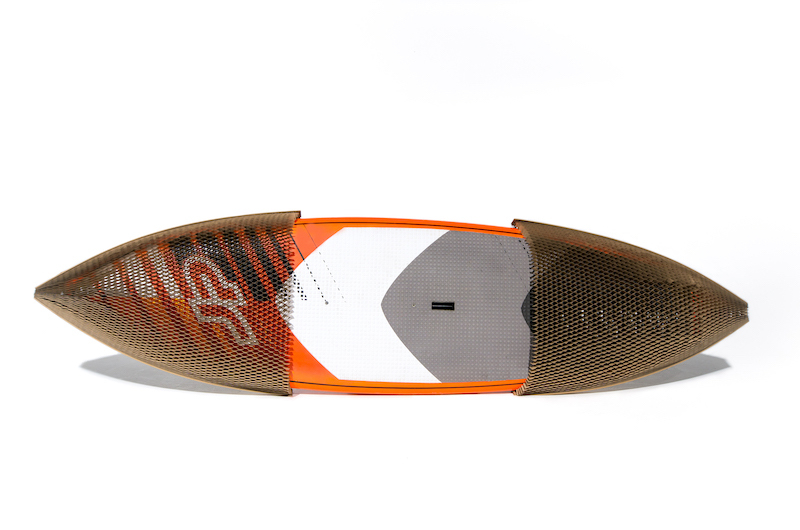 The adaptability of the sleeves result in the system being ideal for all board sizes, from skimboards, kiteboards and shortboards to longboards, SUP’s and windsurf boards. Once nested on top of each other, the system creates 30mm of separation between boards, further protecting them during shipping. 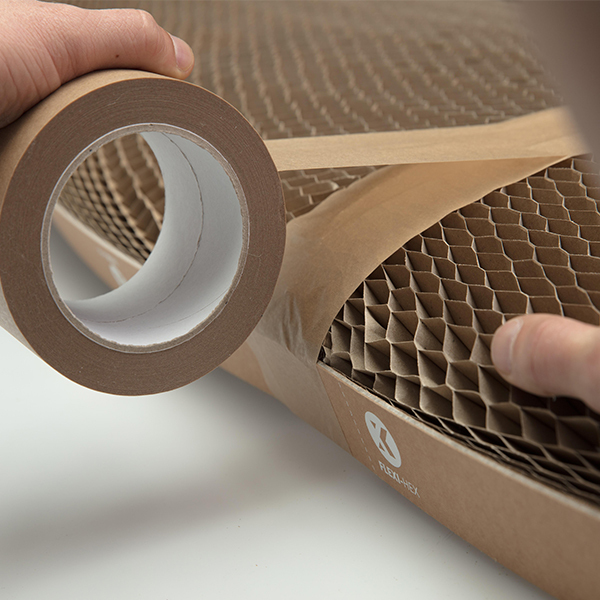 Flexi-Hex intends to reduce the costs involved in board packaging through efficient use of materials and time. Benefits will accrue throughout the supply chain due to better protection, faster packaging time, reduced materials, ease of storage and unpacking. Flexi-Hex intends to reduce the costs involved in packaging through efficient use of materials and time. Benefits will accrue throughout the supply chain due to better protection, faster packaging time, reduced materials, ease of storage and unpacking. Flexi-Hex is made from cardboard a product already widely used in packaging but redesigned to add strength and durability. 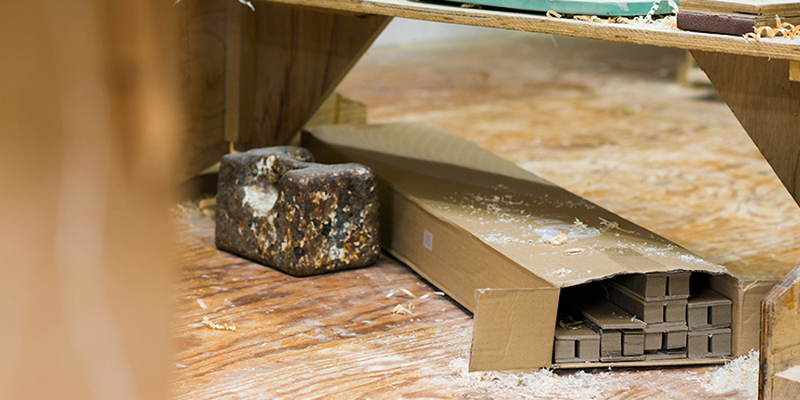 The result is a strong reliable packaging material which can reduce damage to boards in transit. The strength of Flexi-Hex means overall less packaging is required making it a cost effective environmental solution. Most importantly it can reduce the need for single use plastics in many packaging systems. Our Lite sleeve provides additional lightweight protection suitable for travel use and cardboard box inserts. 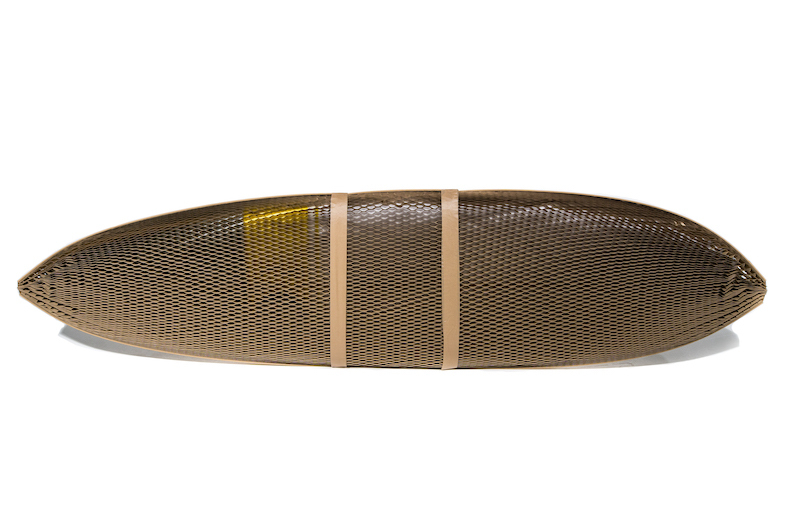 Our Mid sleeve is suitable for packaging longer or wider boards such as retro surfboards and longboards. Our XL Sleeve is suitable for packaging extra large boards such as Stand Up Paddle boards and windsurfers. "The moment we saw Flexi Hex we knew we were looking at the future, of not just boardsports packaging but in fact protective packaging as a whole. 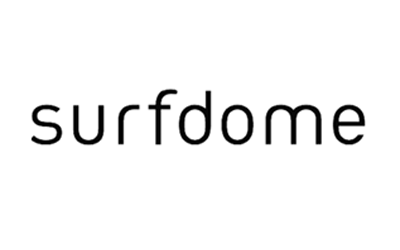 For us the key driver is around sustainability, the fact that Flexi Hex offers more protection and is quicker to use for our customers are all just a bonus!"